It is a good thing that my daughter, an M.A. student at the University of Northern Colorado, is also a graduate of Faith Baptist Bible College (Ankeny, IA). While upgrading her teaching degree, she was assigned reading from this book, which espouses, in modern garb, the old German Rationalism of the nineteenth century. But, equipped by her Fundamental Bible College training, she recognized the liberalism and was able to properly categorize the information. 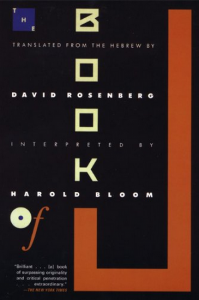 The Book of J is actually a translation (done by David Rosenberg) of the “J” documents of the old “JEDP Documentary Theory” with a commentary and interpretation by Harold Bloom. Bloom asserts that, “The Hebrew Bible, of which the Book of J is the origin, ought not to be confused with the Christian Bible, which is founded upon it, but which amounts to a very severe revision of the Bible of the Jews.” That is, he asserts that the “J” parts of the Old Testament are the original Hebrew Scriptures and the rest of the Bible was (fraudulently) added later. But Bloom also has to admit, “In particular, I must deal with what scholars call the Documentary Hypothesis, which asserts the multiple authorship of the Five Books of Moses and is largely associated with the nineteenth-century German master scholar Julius Wellhausen. . . . The crucial nineteenth-century German biblical scholars were the triad Karl Heinrich Graf, Wilhelm Vatke, and Wellhausen.” In other words, he has to admit that the parts of the Old Testament which he calls “J” were really invented by German liberals 200 years ago!